And for those of us who were up for the challenge Tauck took us (about 20 guests joined in) that afternoon on a “Power Walk” from our hotel up to Buda Castle… it was about 1.5hrs roundtrip from our hotel and some steep steps were involved for a bit of it but as you can see above the views of Budapest made it well worth it!! 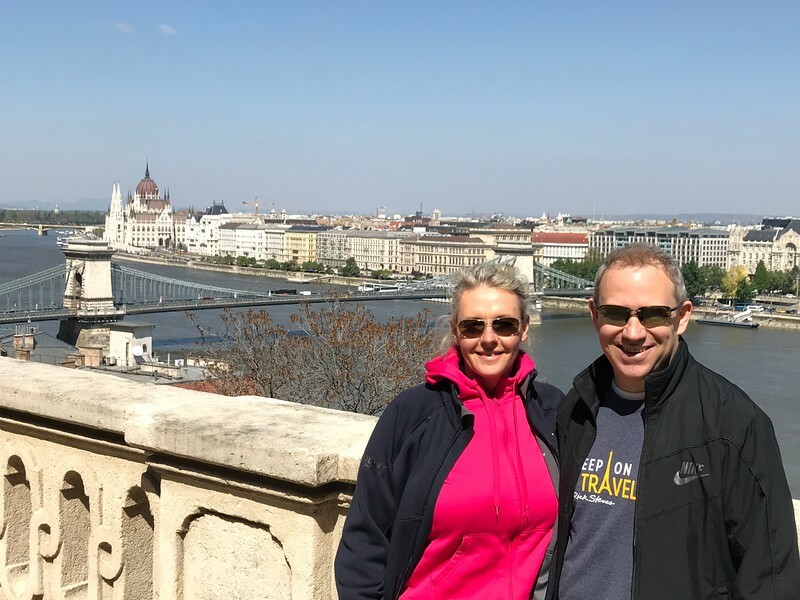 :-) FYI, that’s Budapest’s famous “Chain Bridge” in the background. FYI, pretty much everyday we were offered a Power Walk, hike, bike ride, etc. for those of us who wanted to enjoy some more active excursions on top of the included ones that everyone enjoys. AND, for each day’s normal tours of the 3-4 groups they usually had a “faster” walking group where we saw more as everyone in the group was able to walk at a faster pace and the guide made less stops… it was perfect for those of us wanting to stay active!